John McCain has been a fixture of American politics for over thirty years. He is a respected Senator from Arizona, a two-time presidential candidate, and a decorated veteran. At the age of 81, McCain was already entering into the twilight of his political career. A diagnosis of terminal brain cancer, the same kind that took the life of his friend and colleague Edward Kennedy, has put a more immediate threat on that long career. McCain has always been a fighter and has vowed to fight this cancer with everything he has. He knows his prognosis isn't great, so his latest and most likely final memoir gives him a chance to "...talk to my fellow Americans a little more if I may." The Restless Wave is pretty standard as far as memoirs go. McCain hits upon the highlights of his life with the hindsight and introspection of a man who is at peace with coming to the end of his life. He replays moments from his history with detail and commentary that gives the reader a glimpse into his frame of mind during those times. With each recollection, I was struck by the way McCain seems to use his military background and family as the moral compass that guides each decision. Yes, there were times when he strayed from that path for political purposes, but each time he ended up returning to the center that guided him. There are long stretches of the book spent detailing specifics of foreign policy and war strategies that got too dense for me. It was clear that McCain is passionate about his role in these situations, but the down and dirty details were simply too much to hold my attention. Readers with an interest in military history and strategy may glean more from these portions, but the casual reader may find themselves skimming over these sections. At his core, John McCain is a man whose patriotism can't be denied. I don't doubt that he mostly acted in ways he thought would be best for the country he loves. He admits to and owns the mistakes he made, especially his disastrous 2008 presidential campaign, with class and grace. Despite the recent surge of divisiveness and misinformation in American politics, a shift he has witnessed firsthand, McCain remains optimistic for the future of the country. He is an old-school politician in the best sense of the word, the kind who knows how to buckle down and work with the other side of the aisle to get things done. Although our politicians seem to have lost that spirit of cooperation and compromise, they only need to look back at the extraordinary life of John McCain to be reminded of the things that unite us all. Earlier this year, I read Sunday Silence by Nicci French as part of a TLC Book Tour. Although I was jumping into the series with the penultimate book, I thoroughly enjoyed the read and was looking forward to seeing how the series ended. The promise of a showdown between heroine Frieda Klein and notorious serial killer Dean Reeve was almost too much to pass up. When I was offered to review the final novel and kick of TLC's latest tour, I jumped at the opportunity. Lola is in a panic. Her dissertation is due soon, and she hasn't even begun to come up with a topic for it. She isn't the most academically motivated student, but she never imagined she would be at this point. Desperately, she seeks the guidance of her professor. The professor has seen this type of unengaged student before. He offers the half-hearted suggestion that Lola find someone to shadow who works in her field of interest. He suggests the budding criminologist find infamous psychologist Frieda Klein. There's only one problem. No one knows where Frieda Klein is. This moment has been a long time coming. What started as a perfectly normal consulting relationship between a psychologist and the police has turned into something horrible. Dr. Frieda Klein has watched as her world has been turned upside down. Her life has become intertwined with the obsessive delusions of murderer Dean Reeve. He's latched onto her for some reason, leaving a path of bodies and heartache in his wake. Now Frieda has cut herself off from the rest of the world. She's moved from her home, changed her appearance, and broken communication with her friends and family. Now she waits. Dean Reeve is out there, and she's the only one who can stop him. In The Day of the Dead, the authorial duo Nicci French bring their long-running series to a satisfying conclusion. Eight novels in, they have built an extremely engaging cast of characters and an ever-intriguing cat and mouse scenario between Klein and Reeve. 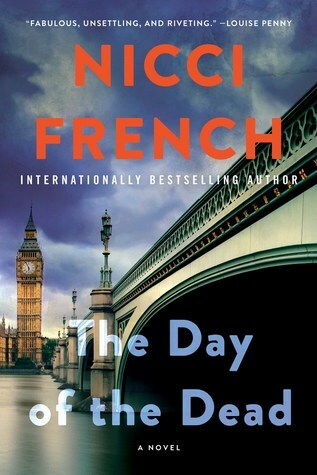 As the final novel in the series, The Day of the Dead works just fine as a standalone read, but I definitely think the ending will be more satisfying for those who have experienced the other books. More than the previous book, this novel sees the author delve deeper into Klein's mental state, an experience that is made even more poignant by the fact that Klein is a psychologist. The Day of the Dead has everything readers will want from a final novel and ends with a near perfect scenario that succeeds on multiple levels. For more information, visit the author's website, publisher's website, Amazon, and Goodreads. This review kicks off a tour from TLC Book Tours. Check out the full tour schedule here. "Sometimes a lie is more than just a lie. Sometimes it's the only way to win." I've recently recognized that a popular trend in the titling of thrillers has emerged amongst my reading list. It seems like every thriller with hopes of becoming the next best-seller has the word "lie" in their titles. Like many of the "girl" books that followed a similar trend after the success of Gone Girl, these "lie" books have had a pretty mixed result for me. 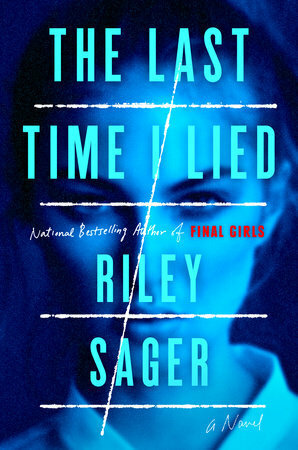 Last year saw the breakout of author Riley Sager with his thriller Final Girls. Glowing reviews from many of my trusted blogging buddies and the fact that it had a "girl" title placed the novel on my TBR list. Alas, I never got around to reading it. When I got the chance to read Sager's latest novel The Last Time I Lied (see the word "lie" in the title?! ), I eagerly jumped at the opportunity. As I started reading, I wasn't making comparisons to some of the other "lie" books that I've read. Rather, I kept thinking back to The Broken Girls by Simone St. James. Like that novel, The Last Time I Lied focuses on a main character who is haunted by the events of her past at a community institution for young girls. Unlike St. James, Sager steers clear of the supernatural, writing a story that is even more horrifying in the dark details of its ruthless reality. Emma has become renowned for her painting. Her series of dark forests on canvas have captured the imagination and renown of some of the art world's biggest names. Her admirers have no idea about the dark secrets that lie beneath the foliage of each painting. They have no idea about the secret that dates all the way back to her time as an attendee at Camp Nightengale. They have no idea that this secret is about to be brought out from behind the leaves and vines that Emma has desperately used to hide them. To go into any more details about the plot itself would ruin the fun and suspense for anyone planning to read it. Suffice it to say that this is an edge-of-your-seat read that kept me thoroughly engaged and guessing until the very end. Sager shifts between the present and past to reveal details about the characters and mystery surrounding the camp, expertly leading the reader through a maze of absorbing history and misdirection. As a protagonist, Emma strikes the right balance of inner turmoil and outer resolve. She works just as hard to solve the mystery as she does to come to terms with her emotional state. Sager beautifully manifests this internal struggle in the physical imagery of Emma's art. Amongst its other "lie" titled peers, The Last Time I Lied by Riley Sager stands out as a top-notch thriller that easily surpasses the generic confines of its promotionally driven name. Every once in a while, a novel comes along that surpasses your expectations and defies explanation. Such is the case with Paul Tremblay's latest book The Cabin at the End of the World. I really enjoyed A Head Full of Ghosts when I read it last year, but this novel sees Tremblay take his storytelling to new heights. Even the master of horror himself, Stephen King has called the book "Terrifying". If you manage to scare Stephen King, you've got to be doing something right! To provide a full summary of this story would be a disservice to anyone planning to read it. Like most great horror, the books hinges upon a pretty simple setup. It starts innocently enough. Young Wen and her fathers plan to celebrate some family time at a cabin in the woods, away from distractions and the rest of the world. Little do they know that the rest of the world will soon be invading their little getaway. As husbands Andrew and Eric enjoy some quiet time on the back deck of the cabin, their adopted daughter Wen is capturing grasshoppers in the front yard. She carefully catalogs each of her finds, giving each insect a name. Wen is surprised to look up and see a lone man walking down the road to the cabin. She doesn't remember seeing any other houses on the drive into the woods, so she's not really sure where he could be coming from. First, she thinks about alerting her dads to this strange figure but then thinks better of it. She doesn't want to disturb their relaxing vacation. The Cabin at the End of the World is a masterfully relentless novel of horror and suspense. Tremblay lures the reader in with an ever-growing sense of dread and terror. At times, I was so horrified by what I was reading, I had to pause. Despite my fear, I couldn't stay away for too long. I had to see this story through. Tremblay smartly presents the events as they unfold with little suggestion as to why these things are happening or how they came to be. This only adds to the suspense. Beyond being a solid thriller, The Cabin at the End of the World features well-drawn characters that helped keep me thoroughly invested into the story, even when I didn't understand everything that was happening. Tremblay writes of a gay couple who are refreshingly normal. They face universal challenges with parenting, religion, and trauma that all readers will be able to relate to. Frankly, in 2018 it is surprising that there aren't more diverse characters in the genre. Hopefully, the success of Tremblay's novel will help fuel a shift in representation within horror and thrillers. 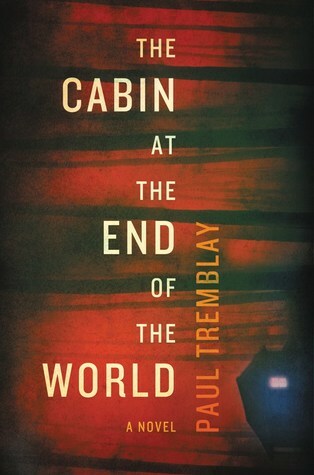 Through a mix of old-school horror, believable characters, and non-stop suspense, Paul Tremblay's The Cabin at the End of the World ends up being a remarkably effective thriller that makes for the perfect summer read.